We don’t buy links. We do turn money into links. But we don’t buy them outright. And we don’t recommend you do either, since our community tends to do link building much more efficiently than most agencies. However, there’s a middle ground many people are interested in: the idea of hiring link building services to do all the hard work associated with building links the right way for you and essentially trading your money for their time. 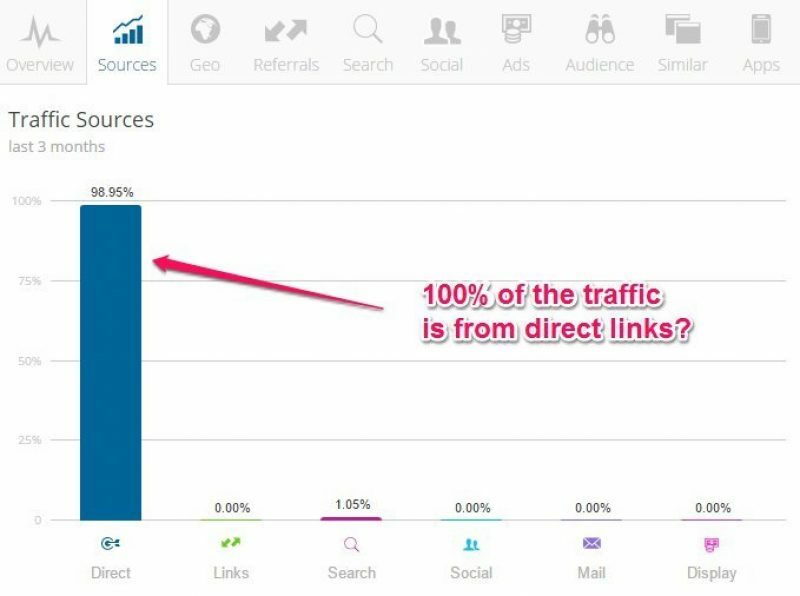 If you poke around, there are plenty of agencies selling link building, and almost all of them sell one type of link only: guest posts. Very few agencies (at least at our level) are selling broken link building campaigns. Or infographic campaigns. Or whatever. No… it’s guest posts. Guest posts are all the rage right now, and it’s because they are the most concrete to sell (you don’t know how many links you’ll get from a broken link building campaign, for example, making it tough to sell) and easiest to outsource. I think this is mostly because people have started to understand the risk of PBNs and are attempting to move toward white(r) hat link building tactics, and guest posting is the oldest, simplest, most straightforward link building tactic of them all. So it’s where a lot of people start. There are also lots of grey-hat agencies–agencies people are comfortable with–who (supposedly) now sell legitimate guest posts. Because there are occasionally good reasons for buying links, and because guest posting is by far the predominate link type being sold by agencies, we wanted to buy a couple to get a feel for both the process and the quality of these links. Usually, when we set out to test something like this, we set up our experiments to be as scientific as possible, leaving the smallest possible margin of error. It’s extremely expensive. 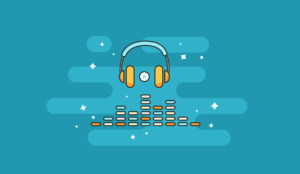 Guest posts cost $150 on the low end and $1,000 on the high end. Some agencies also don’t do one-offs; they require you to sign up for campaigns in the $3,000+ range. It’s just not worth it for one blog post. We don’t plan on buying or recommending buying guest posts. There would have to be an extreme anomaly–an agency selling very good, legitimate links for really cheap–for us to ever recommend them. Based on price alone, that’s not the case. So, instead, we bought 5 links from 5 different midrange agencies (one link per agency) whose target demographic was people like us: independent site builders. Is the process any good? Are the links any good? We decided that it would be best to just pick a really large website to point the bought links to, since it wouldn’t affect that site one way or the other. I really can’t believe I was as naive as I turned out to be here. When we set out to do this experiment, I figured that some of the agencies would do low-quality work. What I did not expect was for some of them to be using blatant PBNs and packaging them as guest posts. And we should have known. So what we ended up doing (stupidly, but accidentally) was buying PBN links to someone else’s site. When we saw this, I asked for the links to be taken down immediately. We should not have done that, and we really should have planned for that contingency. Sadly–and I wish this wasn’t the case–I suppose we had a bit too much faith in SEOs to do the right thing. I have corrected the mistake. I reached out to the vendors, and all risky/questionable/bad links have been removed. So the site we pointed links to will be fine. Even if we hadn’t removed the links, it’s a massive site with an incredible link profile. We wouldn’t have done any damage. But, clearly, it was best to remove the links anyway. Still, it’s annoying, embarrassing, and falls on the wrong side of ethics for us. Live and learn. That said, let’s take a look at these vendors to see what they’re about. Here’s the honest truth: none of these links were ones I’d classify as “good.” There was something off with all of them. That said, there are a few in the bunch I wouldn’t say no to–serviceable links that are for the most part safe and have a chance of moving the needle. I originally ordered these best-to-worst. However, in light of new facts, there turn out to be a lot more nuances, so really, these are in no particular order. I know. I’m just as surprised as you are. And honestly, we ordered from Fiverr because we wanted to show how much of a joke it was. Now, before you run off and start buying guest posts on Fiverr, please let me clearly and unequivocally say here: Fiverr is not a good place to buy links. There are a few halfway decent people there who seem to be (if not doing actual outreach, which I doubt they are) have legitimate contributor accounts at a few real sites. Verdict: Actually pretty good. Real site. Real traffic. Obvious editorial guidelines and good communication. Most of this is crap. A lot of these are either things you can do on your own for free (e.g. community posts on BuzzFeed) or PBNs. The other big chunk are people who have have contributor accounts on big sites. While these may look good at first glance, remember that Google has been cracking down on sites that sell links by searching for unnatural outbound linking patterns; in fact, they’ve started penalizing sites for it, making many of these sites (yes, even the likes of HuffPo) rather risky. I messaged him to make sure that he was, in fact, doing real outreach, and he assured me he was, so I ordered. The result, while not ideal, was probably the best result of this batch of five–mostly because the link was on what appears to be a real site. 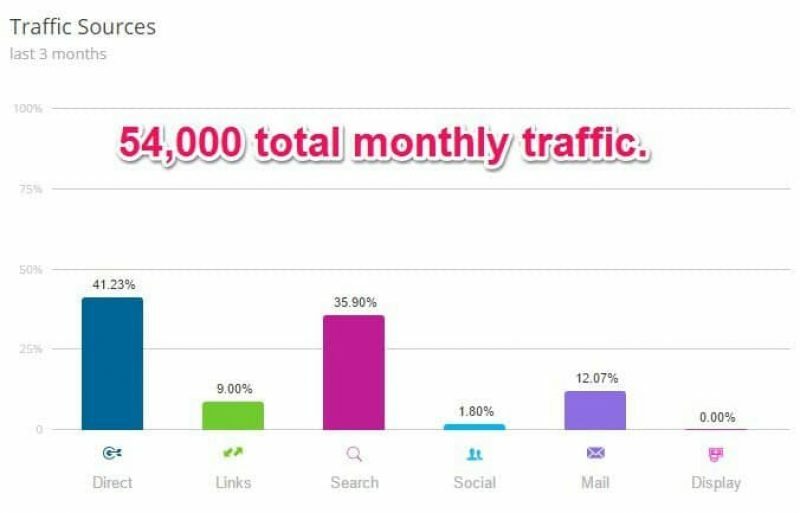 According to SimilarWeb, it has 54,000 monthly traffic, and 36% of it comes from search engines. 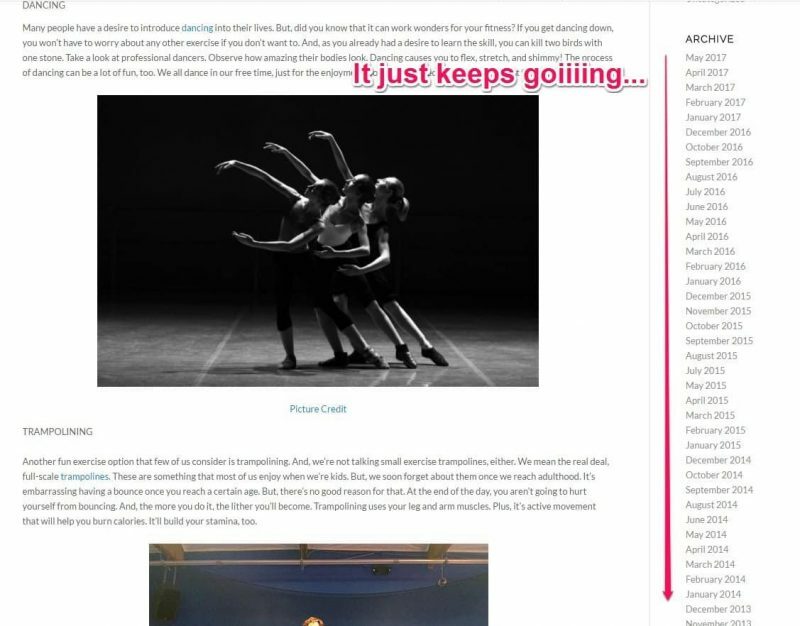 There were several posts on this site that were rather obvious guest posts, but there were also plenty of posts that were not, indicating that this site has a real editorial team and publishes content of their own. Additionally, the link the Fiverr vender got was in the author bio. That’s typically not ideal, but here, I take it as a good sign: he wasn’t just going after the most powerful link; he submitted to a site that required him to follow editorial guidelines (and enforced them). It is worth noting, though, that this site does not have a contributor application page; instead, they have a “write for us” page that requires writers to submit completed articles in full and requires them to follow editorial guidelines for sources, etc. Lastly, the order took about 20 days, which is a reasonable turnaround time for a guest posting campaign. 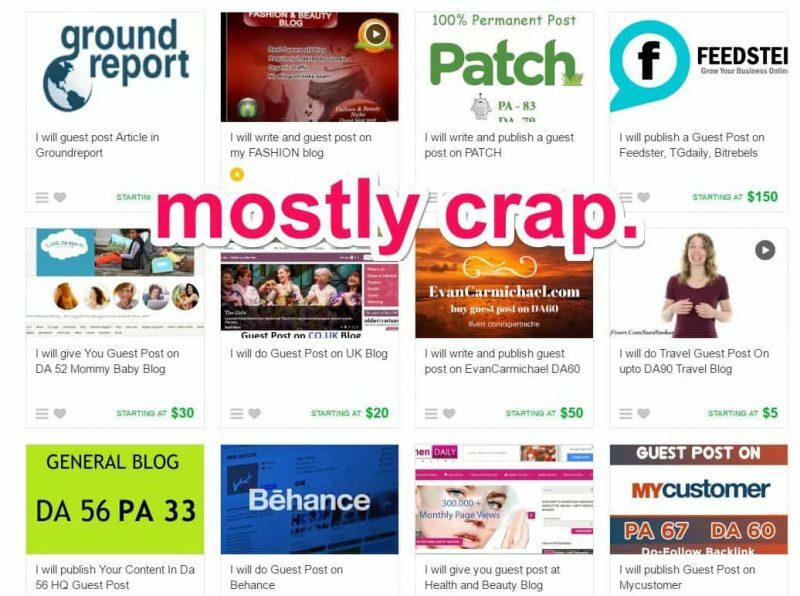 …if all that is true, I can begrudgingly admit that there may be a few select vendors on Fiverr doing actual guest posting on real sites with real traffic. That said, they’re probably not the ones charging $5. If you’re going to go this route, look for the folks charging $100 or more. Read more: What are the 23 best Fiverr gigs for marketers? We originally made a mistake for this vendor; if you read the section previously, they did fulfil the order. 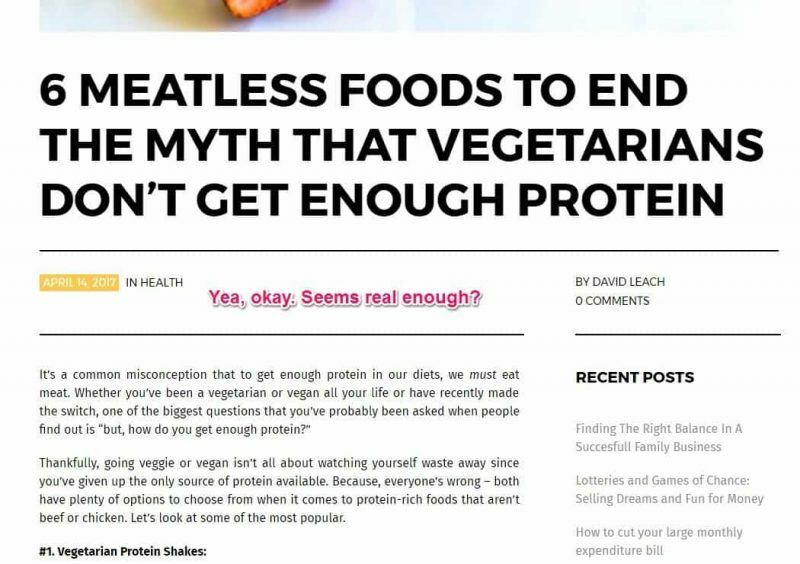 When we first published this post, this section was published with inaccurate information. I’d like to thank Dan from Love to Link for emailing us quickly to correct it. I’d thought the order had been lost. I set up an email account specifically for this project, and I still can’t find the emails the Love to Link team sent to me. Not in trash. Not in spam. I’ve been looking since I learned of the mistake, and I just can’t find them. Luckily, Dan gave us all the records we needed to complete a fair review, which follows. While this might be technically true (the outreach bit), I do have a few doubts. But first, I want to correct another error. I didn’t know that for sure, and I should not have written it. According to Dan, it is incorrect. That said, I still worry about any service that can predetermine sites and sells links based on DA. Of course, it is totally fine to leverage established relationships to secure guest posts. Where it becomes a problem, however, is if the number of guest posts begins to eclipse the “standard” content of a site. 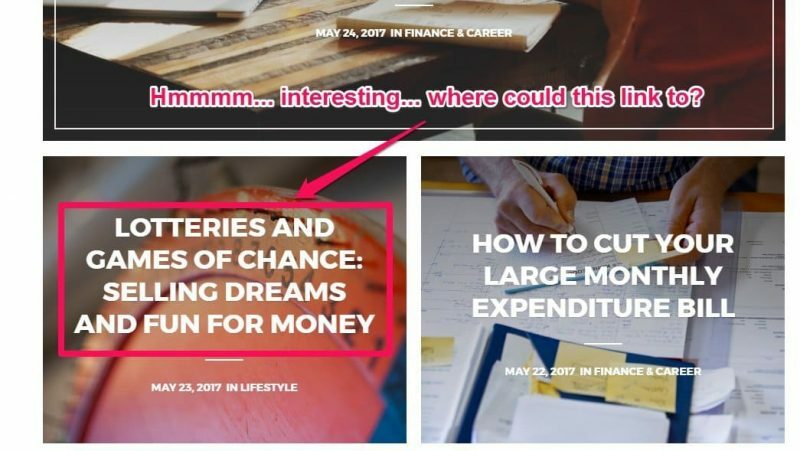 After looking at the site Love to Link secured a post on for us, the post seems to have landed on an average mommy blog ran by someone who clearly isn’t a very good marketer, doesn’t have a lot of readers and does take a lot of guest posts but probably a real mommy blog nonetheless (but it may have been paid for). 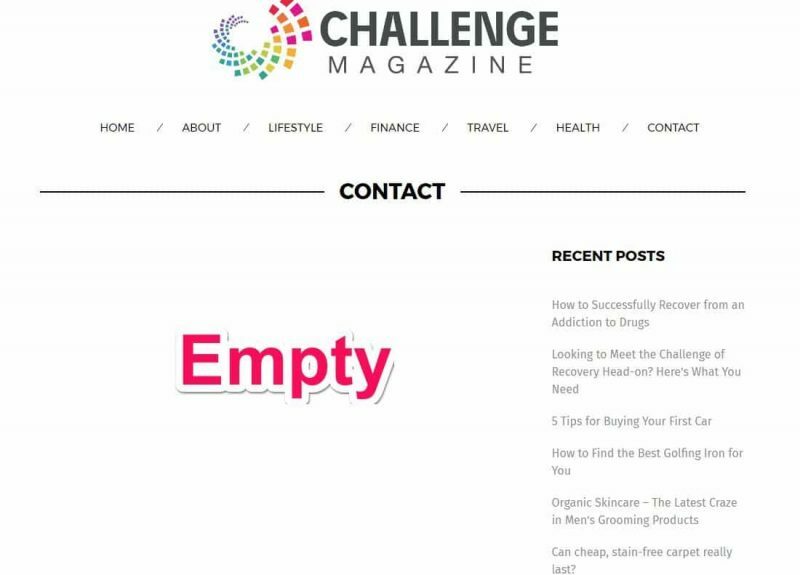 Most of the content on the site does not feel great, it’s often limited to 300-500 words, lots of product reviews, lots of listicles that don’t deliver on their promises etc. 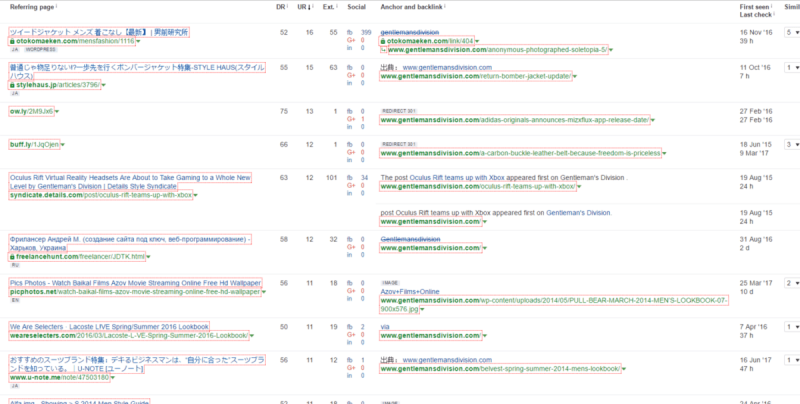 That said, the site does appear to have some search engines traffic. It’s just not a lot, and it’s eclipsed heavily by direct traffic (which we discussed earlier). When Dan emailed us, I got excited. I’d hoped I’d made a mistake and had actually stumbled on a really good guest posting service. Dan and his team are passionate people and believe in their product. While the link is probably on a real site, it’s still not a link I’d feel very happy to have in my link profile. It probably would not get me in trouble but would it really move the needle? Would I feel this is a future proof asset I can rely on? To this I can not say yes. Based only on the one guest post ordered from them (an admittedly small sample size), I still don’t think these are a great investment. I just wouldn’t want links on a site that appears, in my humble estimation (which, again, could be wrong), to be publishing mostly guest posts and/or paid posts. We got some backlash about the Love to Link section in particular. We also only ordered one link from them, so our sample size is small. We could have just gotten a lemon of a link, and we welcome the opportunity to see more links they’ve built to better understand the product. What % of the posts appear to be guest posts? Does the site have more real search engines traffic or more direct traffic? How strict do the editorial guidelines appear to be? 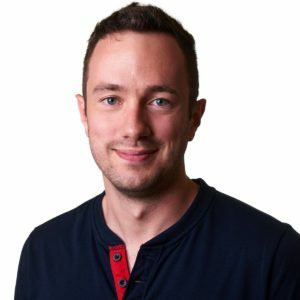 What’s my gut feeling about this site? 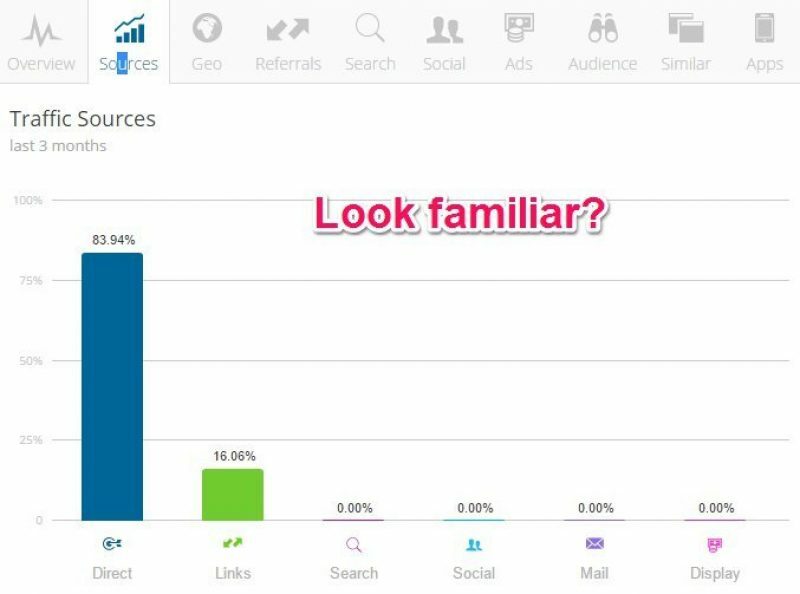 You should be doing this anytime anyone does link building for you. But in light of the controversy this section sparked, and in light of the response from Dan, maybe set aside some extra time to really dig into the sites these links are being placed on and just decide for yourself. SERP Logic is probably the only other service in this list that delivered something that approximates a guest post, but, as you’ll see here in a second, there are significantly more problems with it than there was with the Fiverr post. And that’s kind of a shame, because I had high hopes for this one. Not only did they have the strongest recommendations from the AH Pro community, at $287 for a mid-range link, they were also by far the most expensive. That said, I’m still a bit disappointed in my spider sense not going off at the “premium PBN placements” being sold alongside the guest posts. The Verdict: Not terrible but not great. A real site with real traffic, but not as good as you would expect for $287. 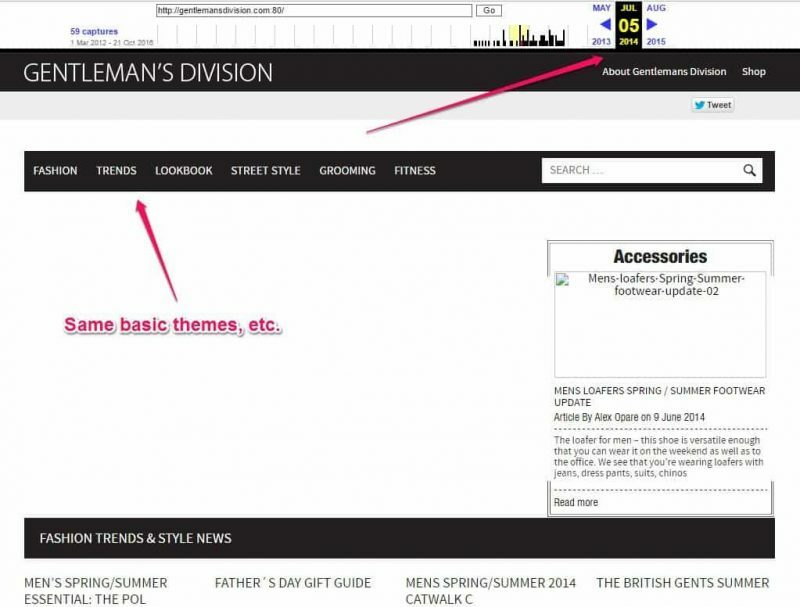 SERP Logic promises “real links on real sites” that they get from manual outreach. They make a point, in their rules for your submission, that your links must be natural and that they’re at the whims of whatever editorial process the linking site uses. 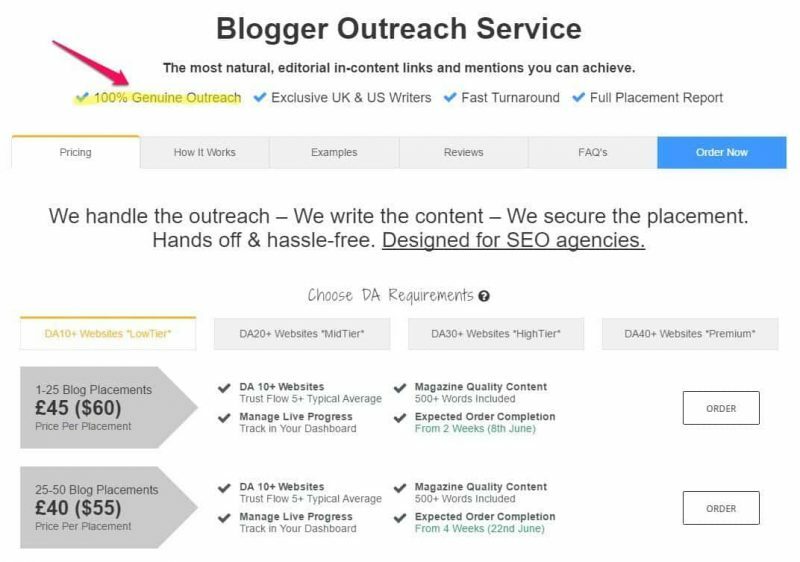 They specifically talk about how lots of guest posting services are basically just PBNs, and that manual outreach to real sites is one of their key differentiators. I do think this is a real site. 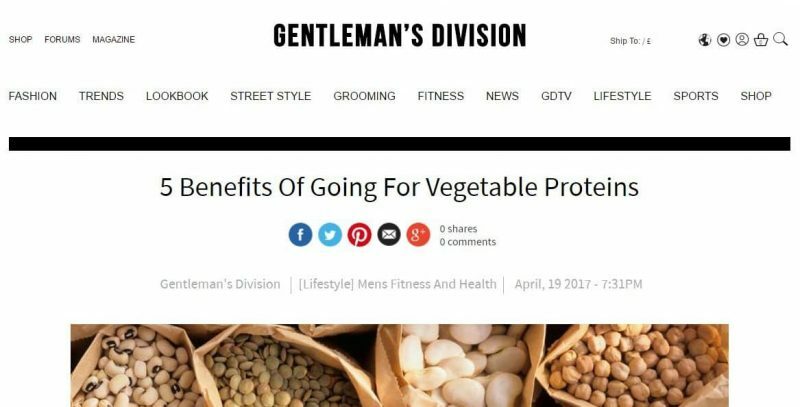 My link was posted on a gentleman’s fashion and lifestyle site, which is a bit of a stretch, but they seemed to crowbar in some page-level relevance at least. The site does have a very small amount of traffic (a reported 2,800 visits per month); however, if you’ve been using SimilarWeb for any period of time, you know by now that they tend to overestimate their traffic projections, which means 2,800 is probably a lot more than the real number. And that’s not super encouraging for a site that has been around since 2013. They also appear to have a small social media following, mostly on twitter. One of the strong points of this particular guest post is that the ratio of other guest posts on the site seems to be pretty low (although, it’s admittedly difficult to tell, since the links blend into the text so thoroughly–same color, not underlined, etc.). Additionally, according to archive.org, the site has been around in more or less the same form with the same themes since its inception. So, at the very least, I don’t think this is a PBN. Still, it’s certainly not a strong site, and I wouldn’t consider it a strong link. It might not make sense to be this discerning if you’re running a big guest posting campaign, and you have lots of links coming in, but remember: we paid almost $300 for this link. At that price point, you’d expect it to be on a stronger site. It’s a real site, and I believe the traffic is real, but the price point relative to the quality of the link definitely puts this behind our gold-standard (at least for this article) Fiverr link. Now that’s a phrase I’d never thought I’d type. But… I still had high hopes for the HOTH’s guest posting package. Why? Because I know they have ridiculous teams and ridiculous systems. They are also big. They have lots of clients. They have money. 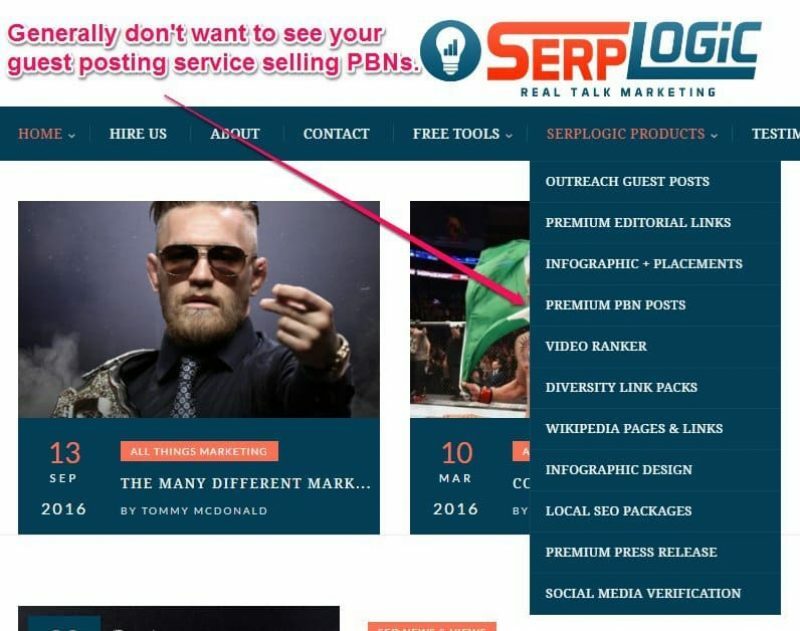 And they were also one of the first popular agencies (in our circles, as far as I can tell) to jump on the post-PBN guest posting bandwagon and try to meet the emerging demand independent site builders had for white-hat SEO. It is the HOTH, so I didn’t expect it to be great. But I certainly expected it to be, oh I don’t know… a real guest post.. Verdict: I suspect this is a blatant PBN and that they are being fraudulent. Evidence below. The HOTH, like others here, promises 100% manual outreach. I especially appreciate the pains they take here to let you know that you shouldn’t underestimate the power of these “natural, white hat” links. What’s this paragon of a deal cost? They’re not quite as expensive as SERP Logic, but it’s not cheap, either, really. To me, this is one of the tell-tale signs of a PBN: a site that has lots of posts but has almost all of its traffic from direct sources and/or links. No organic. No social media. This means that the only people going to this site are the owners and their clients. This does not happen naturally. Red flag. Then, I started looking at the other posts. Aside from every single one linking to someone’s sh*tty “money page,” the sites this site was linking to were super questionable. Check this one out. Lotteries and games of chance you say? What do you suppose the odds are that this links to some questionable gambling site? And finally, I looked at the history of the site. As it is right now, this site is set up as a general lifestyle site. But has it always been? If it was a real site, I’m not sure how they would have reached out to them, since (as of the time of writing) the “Contact” page is literally empty. 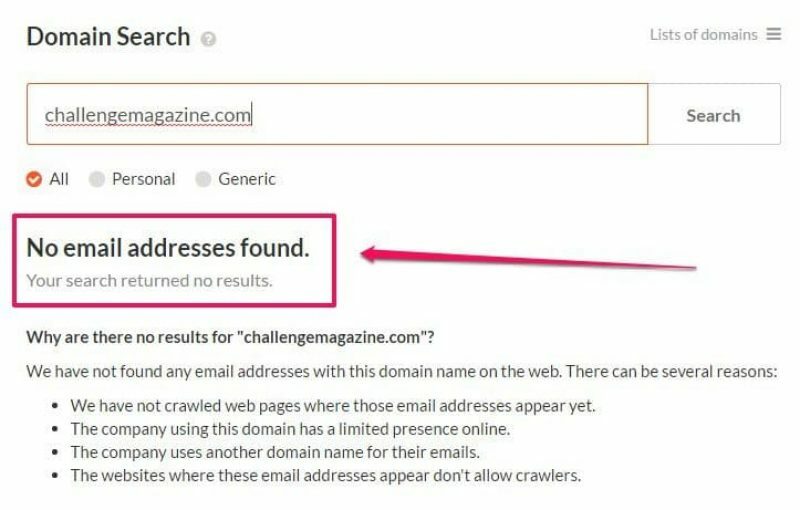 …and email finding tools like Hunter.io don’t return any results at all. In other words, based on this evidence, I think it’s highly, highly likely that this is a blatant PBN. This does not strike me as bad guest posting. It does not seem like a mistake. This, to me, feels like selling polished turds to unsuspecting newbies (and idiots like me who apparently have a misplaced faith in the basic good of humankind). Here’s the email I sent. We went back and forth a bit more via email, and I provided all the evidence I listed above. Here was their reply. 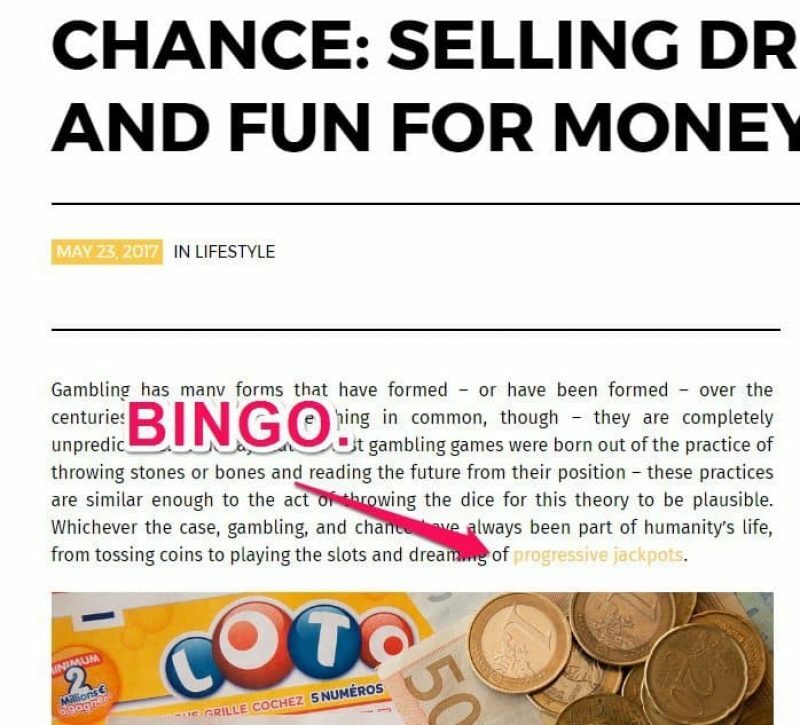 And even on the small, wisp of a prayer of a chance that this is not a PBN… would you want a link on a site that’s linking out to gambling sites and the like? Anyway… if you couldn’t tell what I’m about to say already… don’t buy this steaming pile of crap. FatJoe is another service I had high hopes for. I hadn’t heard much about them, really, but they actually came pretty highly recommended by a couple people in the AH Pro community — folks doing exactly what I mentioned earlier: supplementing their own link building efforts with a few solid guest posts from legitimate services. I did get to talk to their team after this post was published, and they showed me some of their process, which was a great help and allowed me to correct some of my misconceptions about their service. Verdict: The site is real, and the provided proof of outreach, but it’s still a sup-par site which I think may have been penalized. Basically the same stuff: genuine outreach, manual placement, blah blah blah. I think one of the reasons people seem to be attracted to FatJoe is the pricing. It feels really, really reasonable–and it flirts with feeling cheap. Of course, if you’ve ever done any outreach, this should raise a few red flags. 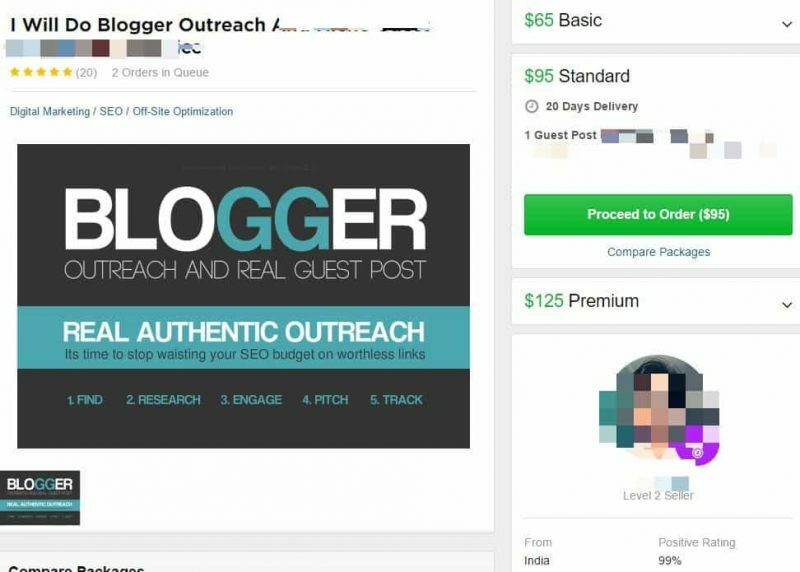 Outreach takes a lot of time, and even if you have a VA doing a bunch of the work, most folks usually want to sell links for at least $200 just because of the time required. Now, imagine you’re a business that isn’t big enough to really see much benefit from huge volumes of business but is large enough to have significant overhead. Would these prices make sense? Originally, I thought this was a PBN or that FatJoe owned the site; however, the folks at FatJoe were nice enough to provide proof of the outreach (they showed us screenshots of the emails). Look at the number of posts. It’s not an expired domain, and the WayBack machine does show that this site has a history; however, it has virtually no organic traffic, which to me indicates that Google, for some reason, does not like this site. My best guess, based on the historic traffic curve (using SEM Rush b/c Ahrefs doesn’t go back very far), is a penalty, although there was never a ton of traffic, so it’s hard to tell. FatJoe is doing actual outreach to actual sites, but the glaring problem, in my view, is their vetting process. 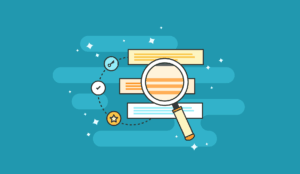 If I were running a guest posting agency, there’s no way I’d sign off on a site with no search traffic–especially one that looked like it had possible received a penalty. In short, I don’t think this particular link was worth any amount of money​. Please keep in mind (and I know I’ve said it about a million times in this post) that we only ordered one link from FatJoe, which is not statistically significant and may not be representative of their service. Why didn’t we look at the link profiles of sites? Pretty early in our investigation, we realized there are lots of idiots who try to build “teir 2” links to their guest posts to boost their power. So even if a site is real, unsuspecting webmasters might be getting a bunch of spammy links from “enterprising” SEOs trying to build disguised link wheels, and it was inconsistent enough to simply disregard the data and focus on stuff like search traffic, which is, in my view a better overall indication of what Google thinks of a site. 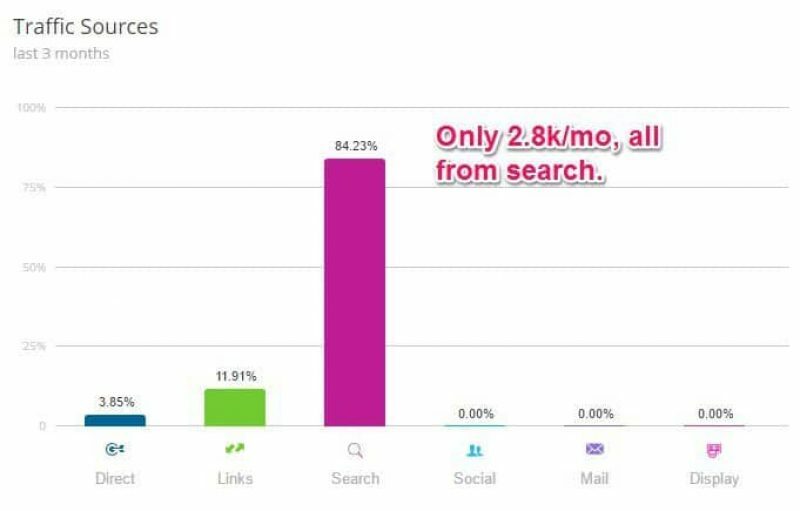 This also might be an argument for not not buying guest posts even if services are doing good, legitimate outreach: you risk being post on a site that other SEOs are building “teir 2 links” to. So what can we learn from all this? 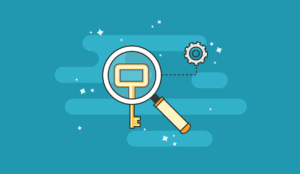 Should you buy link building services from agencies? There are good reasons for finding an seo service and setting up a relationship. But I can tell you from experience that the good agencies–the ones who are actually sitting down and doing the work to land you good placements on good sites–are going to cost you a lot of money. One of the few I know of, Page One Power, had a minimum contract of $2,500 per month the last time I checked. Most reputable agencies start at a similar price point. Outreach takes time. You need systems. You need people. There is overhead. The effect is amplified for agencies, since they typically have at least a handful of U.S.-based employees. I have seen smaller agencies who have done legitimately good work for cheaper. Hell, my brother used to run one. But they are few and far between, and they are typically really difficult to find. But, in general, the good ones tend to be expensive, and if I were going to make a prediction, I’d wage those prices are going to go up over time as big companies continue to wise up to the power of SEO and the internet gets more saturated with outreach emails (driving conversions down and costs up). Here’s the kicker, though… since you are not an seo agency, you can get links for much cheaper than they can if you just build a system. I’m not going to dissect that here. We outlined an entire guest posting system at the bottom of this post. Since I wrote that, a few people have tried it–tried implementing the exact system outlined in that post–and have achieved the $20 links mentioned there. It’s not terribly difficult to learn, and with a reasonable investment of your own time, you can get the same links agencies get for really, really cheap. So should you buy them? Nope, those services deliver low quality links that most of the time break Google’s terms of service, you are better off building a team that does the real thing. Have you ever bought links? Where? How’d it work out? Drop me a line in the comments and let me know!